Manchester United manager, Jose Mourinho, has expressed his confidence that his team can go all the way to win the Premier League title this season. 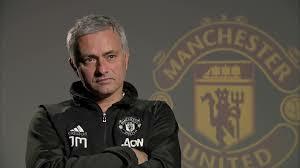 Speaking on Friday ahead of the season opener against West Ham at Old Trafford, Mourinho admitted that it was tougher to finish first in England and tipped seven teams to fight for the title. “I would say there are seven teams to fight for the title and 20 teams to fight every week for every match. “It’s different than any of the other leagues. I worked in three other leagues apart from the English one and every opponent gives you a hard time, but we are involved in four competitions,” the Portuguese said. United finished sixth last season, but will play in the Champions League this campaign, after winning the Europa League.